The classes are also open to allies, families, and friends. View of a Sephora store in France, Sept. 22, 2016. Walking into a high-end makeup store like Sephora can be exhilarating and a bit intimidating, but for some communities, the experience can be downright terrifying. The French chain of cosmetics stores, which has hundreds of locations in North America, will host free in-store classes in the U.S. for transitioning, transgender, and non-binary individuals. The class is part of Sephora's "Classes for Confidence" program, which includes beauty workshops aimed at inspiring confidence in people facing major life transitions. "Bold Beauty For The Transgender Community" interactive workshops will be 90 minutes long, and will provide instruction and advice on skincare, application techniques, and foundation matching. It will be taught by Sephora's store makeup instructors, some of whom "have their own personal gender journey," according to a press release. Autumn Hulme, who works as a communications co-ordinator for the town of Peace River, Alta. said learning about makeup as part of her transition has been "a major challenge." "There's this expectation that you just kind of know all these things that (cisgender) women have had a lifetime to practice," she told HuffPost Canada. "A lot of trans women want to be able to be part of professional groups without standing out because of their transness necessarily, and makeup is a part of that." Hulme said going into a store like Sephora can be "overwhelming." She said what often goes unspoken is that many trans people get dirty looks "just for going about their daily life." "You can tell when someone's looking at you with the sense that 'oh, this person shouldn't be here,'" she said. "That's the most distressing, overwhelming feeling walking into a high-end store." 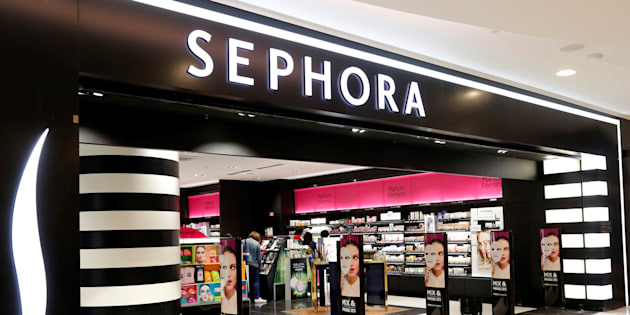 Corrie Conrad, Sephora's head of social impact and sustainability, said the company is dedicated to supporting diversity and inclusion in its social impact programming. "We stand with all members of the LGBTQA community and are committed to providing these individuals with the tools they want to feel confident and beautiful every single day," Conrad said in a press release. "We are honored to be a beacon of support and a part of each beauty journey through our new class offering." The classes are also open to allies, families and friends. For those who can't make it to a store, the company's social impact arm Sephora Stands will post instructional videos led by transgender beauty advisors on its YouTube channel. Hulme said she hopes other businesses — including Sephora in Canada — follow suit. "Even if they don't have that program (at a Sephora location), I assume that there's something in the corporation right now that is working to make sure that their front-line staff are sensitive to these kinds of things, and it already makes it feel like a more welcoming place," she said. "At a very cold level, this is a whole giant demographic for them to sell their stuff to that they haven't sold to before."